NASHVILLE, TN — Fisk University will host its Jubilee Day convocation on Friday, October 6 at 10 am in the Fisk Memorial Chapel. Serving as this year’s keynote speaker will be alumnus Justin Jones ’17 and alumna Jamye Coleman Williams, Ph.D. ’39. The event is free and is open to the public. Jones, a 2017 graduate of Fisk, has been regarded as a young activist by his peers and community members alike. A recipient of the Rising Advocate Award by Tennessee United for Human Rights and the Long Haul Award by the Tennessee Alliance for Progress, Jones is frequently involved with initiatives focused on providing citizens with access to quality healthcare, voting rights and police accountability. 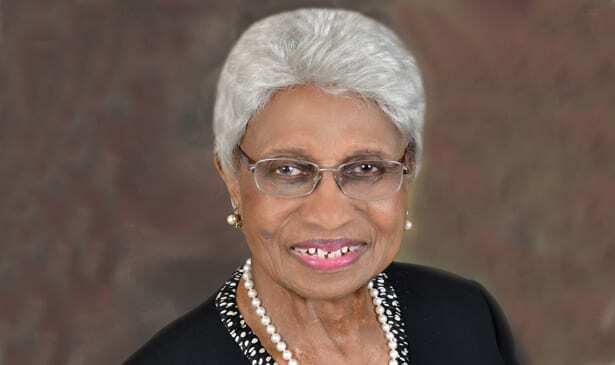 Williams, a 1939 graduate of Fisk, is a renowned in academia in the field of communications. Williams was named editor of The AME Church Review, the oldest African American literary journal, and held the position for 8 years. Having taught at several HBCU’s, she served as the Chair of the Department of Communications at Tennessee State University until her retirement. A noted activist and advocate for social justice, Williams is the recipient of the Presidential Award by the National Association for the Advancement of Colored People (NAACP). A native of Louisville, KY, Williams holds a bachelor’s degree from Wilberforce University, a master’s degree from Fisk University, and a doctorate from Ohio State University. In addition to the convocation, the Jubilee Day celebration will include the 2nd annual Jubilee Singers Alumni Heritage Concert at 7pm in the Fisk Memorial Chapel. General admission tickets are $25. For more information about the Jubilee Day celebration, please contact the Office of Alumni Affairs at 615-329-8632 or e-mail alatham@fisk.edu. Founded in 1866, Fisk University is a private, liberal arts university located in Nashville, Tennessee. Consistently recognized for its brand of academic excellence, Fisk ranks in the 2018 U.S. News & World Report’s prestigious Tier One of Liberal Arts institutions and the Top 10 rankings of Historically Black Colleges and Universities. Fisk was also ranked #3 for awarded research expenditures in the 2017 rankings of National Liberal Arts Institutions by The Washington Monthly.